For many of us, Bern is the place where the future of Modernity began after Einstein´s 1905 Wunderjahr (miracle year or Annus mirabilis), whilst working for the Patent Office in Bern, Einstein published his four papers on the photoelectric effect, the Brownian motion, the special relativity theory and the mass-energy equivalence. 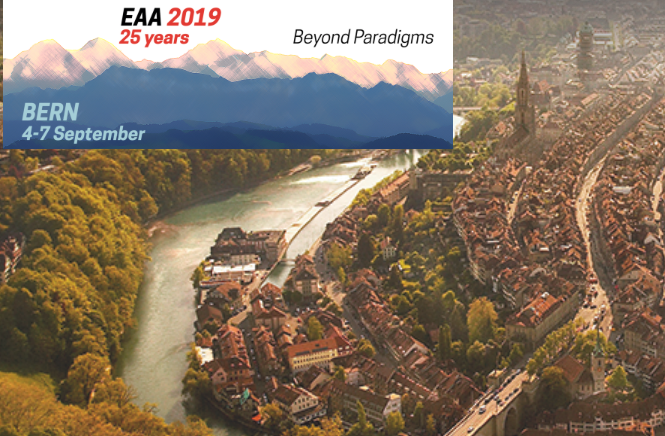 On the 100th anniversary of the Dyson-Eddington-Davidson experiment that first tested the General Theory of Relativity, EAA comes to Bern to celebrate its own 25th anniversary. This fold in spacetime is therefore an extremely appropriate occasion to reflect on what our real contribution from Archaeology and Archaeological Heritage has been and can be, for a future in which everything that seemed solid in 1994 has melted away under the pressing threats that challenge an inclusive and progressive idea of Europe. If paradigms become like the mountains, barriers that enclose our lives and experiences, thinking beyond the sets of theoretical barriers we have constructed enables us to discover the fissures in these paradigms that, like the passes through the mountains, foster interaction and convergence. For this very special occasion, we would like to particularly encourage all our members to propose sessions relevant to the main themes of the Annual Meeting that include the “EAA 25” label in their title. These sessions should offer a unique opportunity to evaluate what has been the contribution of the EAA to the proposed topic throughout its 25 years history, not only with regard to developments in the field, but also with regard to prospects and challenges for the future. 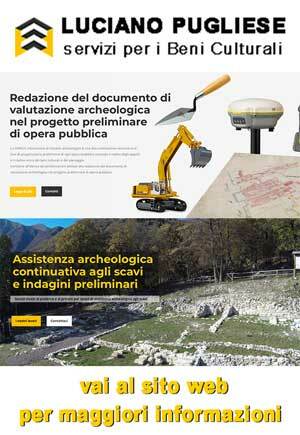 EAA particularly welcomes session proposals that reflect on the socio-political dimensions of archaeological knowledge and heritage, in order to facilitate the realignment of accepted practice with current and future requirements. Call for papers is now open – submit your proposal at https://submissions.e-a-a.org/eaa2019 before 14 February 2019, 23:59 CET. Travel grants: EAA is very pleased to be able to inform you that, due to generous donations from the OMF and the local organisers in Bern, there will once again be the possibility to apply for travel grants to attend the Annual Meeting. All application details and selection criteria will be made available under tab Grants on Tuesday 8 January 2019. Search in sessions accepted by the Scientific Committee under the tab Scientific Programme. In some cases formal requirements have not yet been met by session organisers (i.e. payments of either EAA membership fee and/or conference registration fee), so these sessions are not available for submission of contributions yet and therefore are greyed out in the list of sessions – please check later for the availability of the session. The list is updated regularly, the final list of sessions will be announced on 1 February.